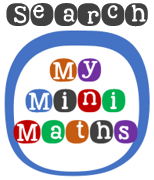 Welcome to the Year 6 to 7 transition Mini-Maths tasks page. Ten key areas from the Year 7 curriculum have been identified to support Year 6 pupils in their transition into Year 7. It is recommended that a topic is selected per week and each day’s task is opened using the links provided below. Use each day’s answers to help guide the required support in preparation for the following day’s task. Your understanding will develop throughout the week. Develop your understanding of these Year 6 to 7 Transition learning objectives by visiting and completing each day’s mini-maths tasks. Daily practise will build greater fluency in your understanding.